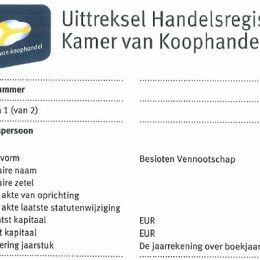 On Thursday April 11 the Dutch House of Representatives will host a round-table on the new Company Register Law. On behalf of Open State Foundation, Tom Kunzler will attend this round-table. The reason that this round-table is organized, is because of the wish of the Dutch Chamber of Commerce to impose database rights on the Company Register in the Netherlands. This will block re-use of the register as open data. Open State Foundation is a supporter of an Open Company Register. The position paper of Open State Foundation can be found on the website of the House of Representatives (Dutch).